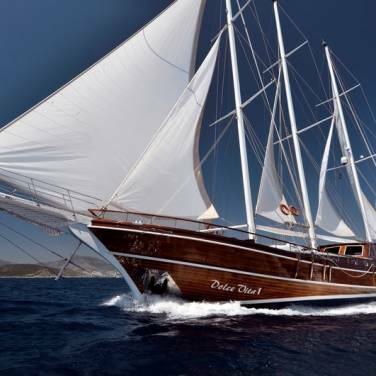 Gulet Libra is one of the finest luxury yachts in Croatia, perfect for discovering a range of dream cruise destinations on the Adriatic. Up to 12 guests can be accommodated in 4 double bed cabins and 2 master cabins with an additional single bed and a separate entrance. Each cabin has an en suite bathroom, air conditioning, music system and TV, offering plenty of comfort and privacy to its guests. The remaining interior space is just as lovely and functional; there is a comfortable salon with a table, leather sofa and chairs, decorated in pleasant natural tones in contrast with high gloss wood finishing. Guests can enjoy outdoor dining and relaxing too, due to a spacious deck lounge area, a sunbathing area and a shaded dining area on the aft deck that can seat up to 12 guests. 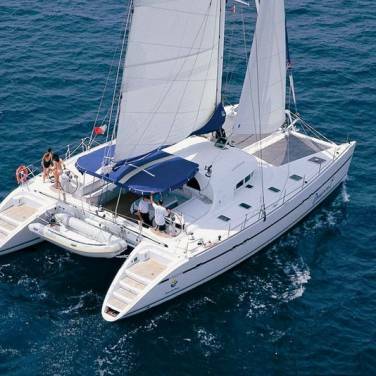 Gulet Libra is also well equipped with water toys such as wind surf, water ski, kayak, and snorkeling equipment, which means that there will be no lack of entertainment aboard. Known as one of the most successfully chartered gulets on the Adriatic, Libra boasts high quality service and its crew consists of 4 first-rate crew members who will make sure your holiday wishes are carried out to perfection. Since visiting the Mediterranean would be incomplete without tasting its exquisite cuisine, the chef aboard Libra knows exactly how to seduce your taste buds with flavorsome recipes. 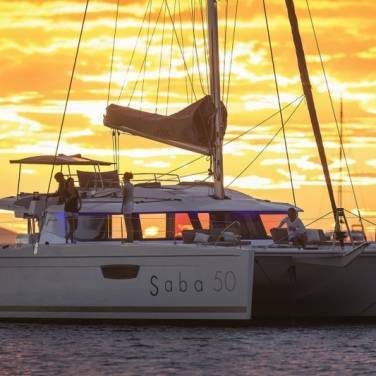 Luxury gulet Libra is a contemporary gulet with a refined hospitality, a charming layout and modern traits, offering you to cruise around the Croatian coastline in remarkable style and comfort.